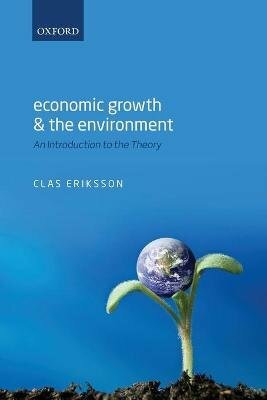 Economic Growth and the Environment explores the debate on how to reconcile economic growth with protection of the natural environment, and the closely related discussion on whether an increasing scarcity of natural resources will eventually force economic growth to cease. The debate focusses on whether environmental policies will benefit the economy or not, and is divided into growth optimists and growth pessimists. In general, economists have been optimistic and have pointed to the possibilities of technological progress and substitution, yet they also acknowledge that natural resources and environmental concern do restrict economic growth. The difficulty lies in quantifying the constraint to economic growth. Modern growth economists have constructed models to examine to what extent 'growth pessimism' is theoretically warranted. This book provides an introduction to some of these models, brings together the discussion between growth optimists and pessimists, and presents the theory behind their arguments. It aims to present models where both sides can meet and where both are able to derive expected results with the parameter values that they deem appropriate. From there, the discussions can turn to the empirical observations about these parameters. This book will be of interest to advanced undergraduates in economics, microeconomics, economic growth, sustainable development, and environmental economics. Each chapter concludes with a set of Exercises designed to help the reader master the models.